When selecting cookware for your kitchen, it's important to be familiar with the characteristics of the metals they're made of. To cook a good home-cooked meal, you need to have the right tools and the right ingredients. If you’re missing either one, the food won’t taste nearly as good as it could. When selecting cookware for your kitchen, you need to be familiar with the characteristics of metals traditionally used to prepare meals. These materials each have pros and cons that can make or break your home-cooked meal. When you go out to buy some new pots and pans, use this checklist to guide you through. Stainless Steel is the most popular metal in the home kitchen. This classic material is made from a combination of steel, chromium, and carbon. It’s the last ingredient, carbon, that gives the material it’s nickname. The metal is “stainless,” which means corrosion-resistant. 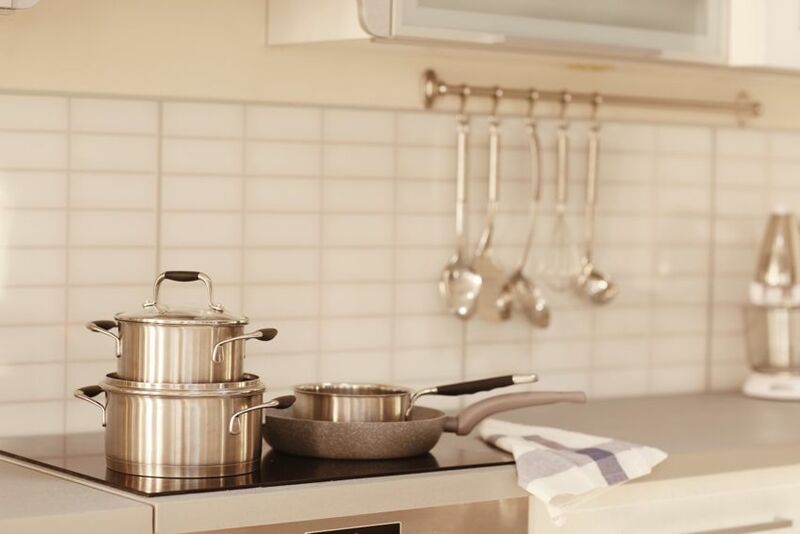 Stainless steel is not a conductive metal, so pots and pans made of this metal are fitted with copper or aluminum cores to conduct heat through the entire pan when it’s on the stove. Durable, inexpensive, non-reactive, and stain-resistant, it’s not hard to see why stainless steel is the star of kitchen cookware. Cast Iron has been a kitchen staple since the 1600s. It’s a tried and true metal, sturdy to the core. It’s also the most cost-effective heat conductor you can purchase for your home kitchen. 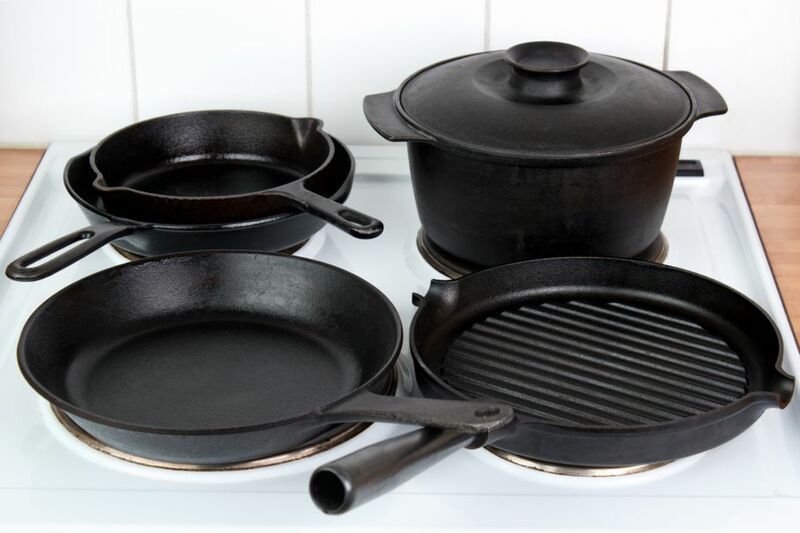 The main flaw of cast iron is its vulnerability to wear-and-tear if not properly maintained. Although, it's strong and durable if well maintained, cast iron rusts within weeks if left wet or dirty. It’s highly reactive as well. Cookware sold in stores is seasoned before it is sold. Seasoning the process of treating a pan surface with stick-resistant polymerized fatty oil. Seasoning your cast iron pan counters the reactivity. The initial treatment will not last forever, so it’s important to know when your pan’s seasoning begins to wear off and replace it beforehand. If you go with cast iron, you must be prepared for the upkeep it requires. 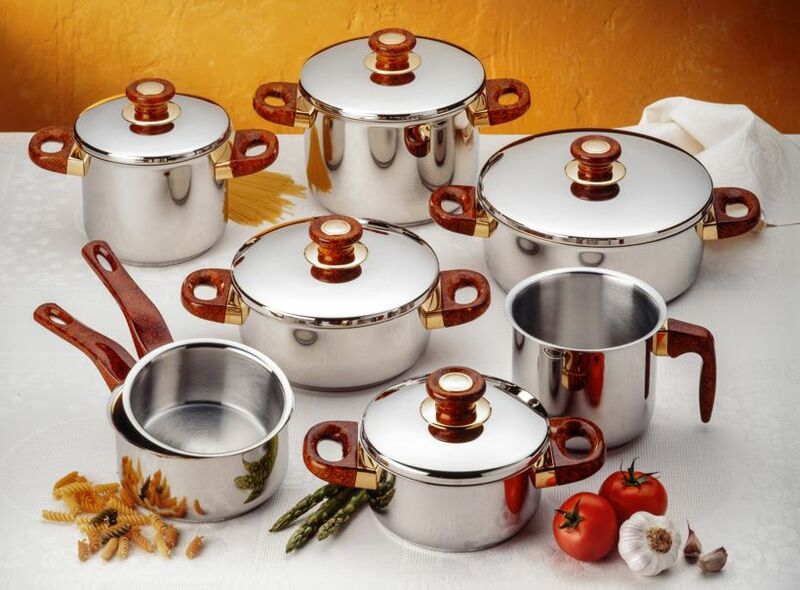 Aluminum is commonly used as a modern replacement for copper in contemporary pots and pans. The metal is very conductive and has a natural ‘non-stick’ quality many home chefs like. The danger with aluminum cookware lies in the extreme reactivity of the metal. Aluminum pots and pans made must be anodized with a layer of aluminum oxide for safe cooking. Though this treatment usually lasts for the life of the pan, it’s wise to keep a careful eye out for any signs it may be wearing thin. Aluminum is also easily dented and scratched. 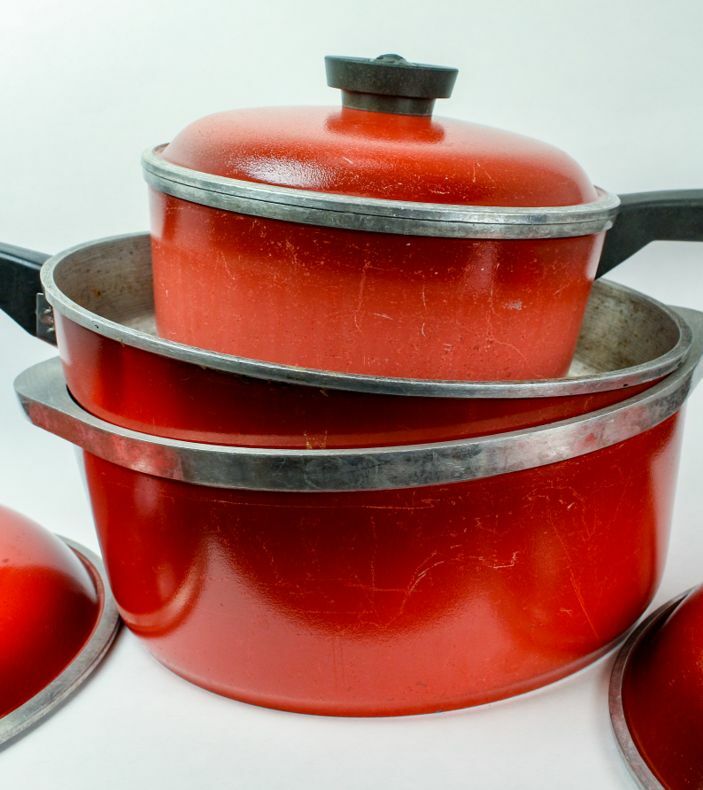 It’s probably the weakest of popular cookware materials. Copper is the best heat conductor in the kitchen and cools quickly once off the stove. With copper, you have a superior degree of control over heat. It allows you to manipulate ingredients and cook complex dishes. The trouble with copper is it is expensive and highly reactive. Unless properly cared for and consistently treated, copper can mix harmful chemicals into anything cooked inside it. 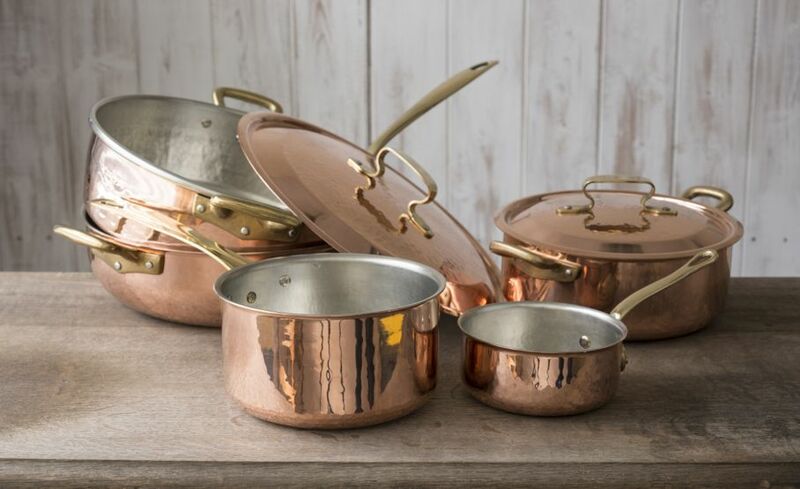 If you want to invest in copper pots, know you must allow time to clean and maintain them properly. Having a solid knowledge about the cookware in your kitchen will help you create delicious meals. Maintaining your pots and pans isn't difficult and will help them last for a lifetime. The right material can be the difference between a delicious meal and a tinny-tasting disaster.